Two new festivals are revitalising the state’s musical heritage. Centuries after Old Goa’s soaring and spectacular churches from the 16th and 17th century fell silent, amid the city’s decline to near-total abandonment, two ambitious festivals are investing new energy to revitalise India’s oldest and most significant Western classical music tradition, at the exact locations where it first developed. Showcasing deep-rooted collaborations between foreign artistes and burgeoning local talent, the Monte Music Festival and the new Ketevan World Sacred Music Festival feature performances of international calibre, at stunning heritage spots. The trend began with Monte Music Festival. Hosted by Lisbon-headquartered Fundação Oriente, in partnership with the hotel Cidade de Goa, the Monte Festival is now one of the premier cultural events on Goa’s crowded calendar. 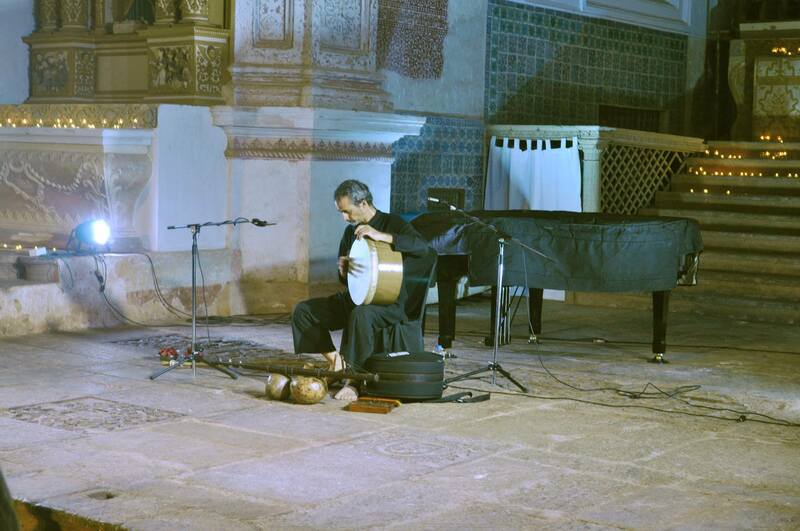 Every year, the three-day concert features both Indian and Western classical music along with dance performances held at the spectacularly situated Capela do Monte, high above the old capital of the Estado da India. The modestly proportioned chapel is a first-rate venue, with terrific acoustics, but what is truly unforgettable are the sunset performances in the courtyard – with the magnificent sweep of the river valley as it reaches the sea on one side, and the ancient Mandovi islands on the other, fading to purple as they yield to the foothills of the Ghats. Earlier this month, the 15th edition of the Monte Music Festival was programmed by Fundação Oriente’s Inês Figueira to feature strong women’s voices from India. The line-up included brilliant young talents – Sufi singer Ragini Rainu, Germany-based Goan soprano, Joanne D’Mello and the powerful, soulful fadista Sonia Sirsat. But the showstopper of the evening was an extraordinary recital of contemporary and sacred chants by the London-based diva who grew up in Mumbai, soprano Patricia Rozario. 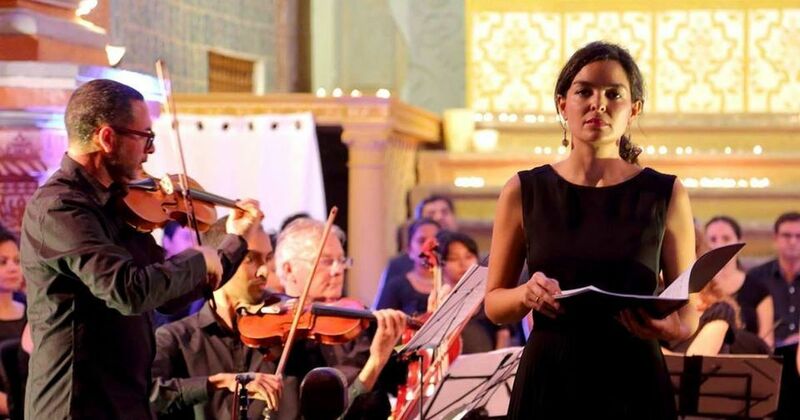 Much of the credit for the revival of classical vocal music in Goa is due to the direct intervention of Rozario – since 2009, she has regularly returned to her homeland (and also Mumbai, Delhi, Bangalore, Pune and Ahmedabad) to conduct vocal music classes as part of a personal initiative called Giving Voice to India. Several of Rozario’s students have gone on scholarship to study abroad, including D’Mello. Few people realise that Western classical music was firmly established on the West coast of India, long before the Mughals created their kingdoms in the North and centuries before, say, the sitar was invented. In 1510, Portugal’s Alfonso de Albuquerque seized control of the vibrant, cosmopolitan port city now called Old Goa and structures like the Capela do Monte were built almost immediately afterwards. The two largest churches in Asia, the largest convent in Asia, a Cathedral and a Basilica plus several other religious spaces, grand and small – all of them needed choirs and musicians and the colonialists assiduously set about producing them en masse. By 1543, it was deemed that all-Goan choirs would sing at church services. That year, local boys sang at the inauguration of St Paul’s College, the first University outside Europe. By the end of the century, Konkani converts were famous throughout Christendom for their proficiency with both vocal and instrumental music in the Western idiom. Soon after, the Vatican granted the Goa diocese unique rights to use instruments such as the violin, clarinet and bass while celebrating Easter – no other place in the world was ever granted similar privileges. Eventually, the descendants of these very early musical prodigies trooped out of Goa to play dance music in British India, then jazz in the early 20th century eventually seeded Indian cinema with its wide-ranging “Bollywood sound”. This rich legacy is the primary context for the intriguing start-up Ketevan World Sacred Music Festival, the brainchild of long-time Goa resident (and skilled concert pianist) Rudolph (Rudi) Kammermeir, with the boundlessly dynamic “Maestro” Santiago Lusardi Girelli, who occupies the Anthony Gonsalves Chair in Western Music, at Goa University. Their efforts have grown organically from the remarkable Goa University Choir, which started from scratch and grew to startling excellence under Girelli’s tutelage. Since 2014, the Seville-based Italian-Argentinian conductor has kindled tremendous enthusiasm for choral music in the state. Like a controlled tornado, his efforts have radiated positive effects in many directions. 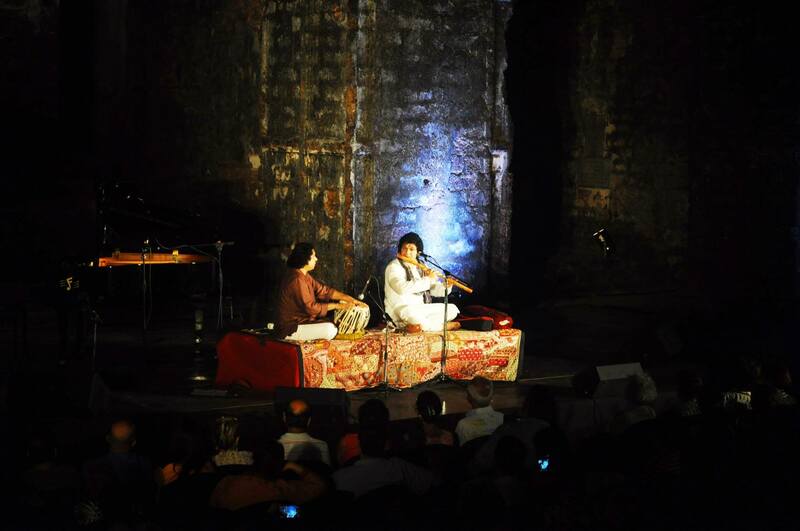 Last year, the first edition of Ketevan festival brought superb concerts right into the heart of Old Goa’s extraordinary Monte Santo at Holy Hill, on the ruins of St Augustine church. This year’s Ketevan Festival schedule is spread over two weekends and includes many creditable corollary events, including a scholarly symposium to test the limits of collaboration between Eastern and Western musical practicioners, workshops with local musicians, and social concerts at schools and colleges. Participants include the Saint Ephraim Male Choir from Hungary, Vandalia Vocal Ensemble from Spain, UK-based pianist Karl Luchtmayer, Australia-based soprano Roberta Diamond, and musicians from Iraq, Portugal, Germany, Argentina and Austria, besides several others from Goa. Last weekend’s highlight was the debut of The Ketevan Cantata, a piece of music composed exclusively for the festival by its resident composer in 2017, Vasco Negreiros of Portugal. 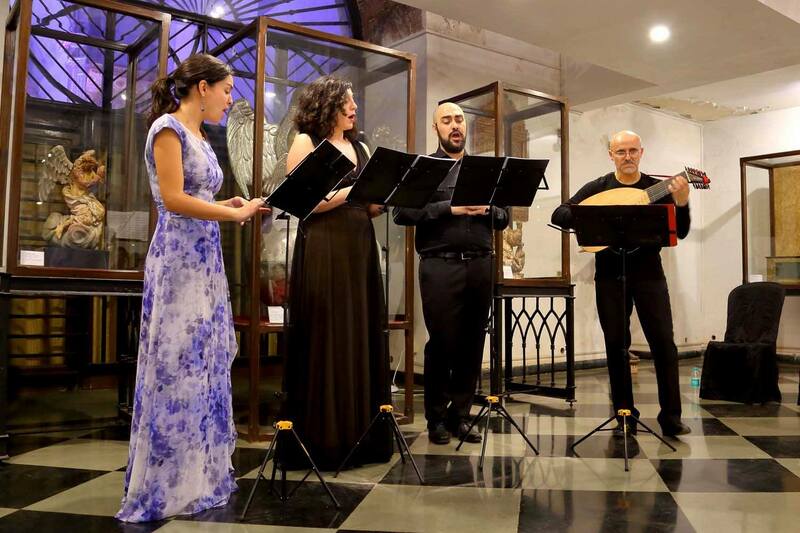 This Thursday, on February 16, is an evening of Baroque instrumental music at the exquisite Penha de Franca church. 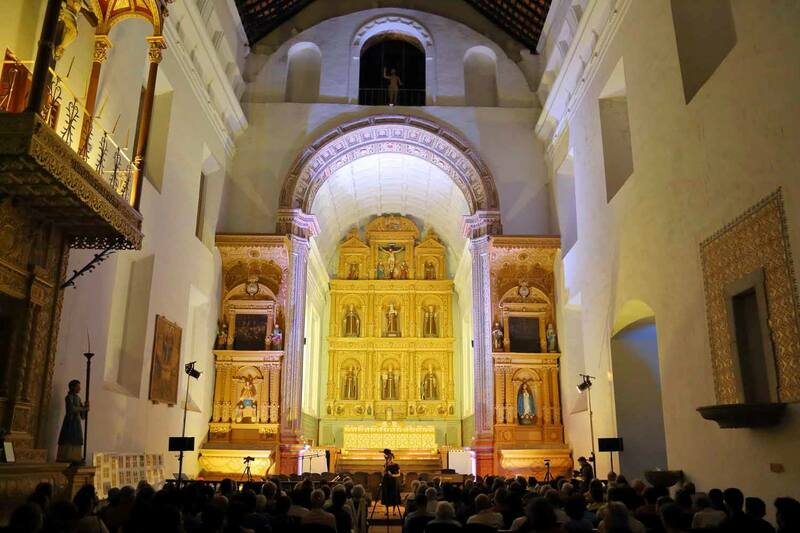 Other upcoming highlights include a candlelight concert at the superbly renovated Chapel of the Weeping Cross at Santa Monica convent, Sonia Sirsat exploring The Sacrality of Fado, and Goa University Choir’s The Routes of Faith and Sorrow.